Diminutive Tulipa batalinii is native to Central Asia, where it grows on stony hillsides. Tulipa batalinii ‘Bronze Charm’ is one of many pretty named varieties, the flowers the colour of a dawn sky, delicately flushed with bronze. It is one of the best small tulips for growing in rock gardens or shallow pans. 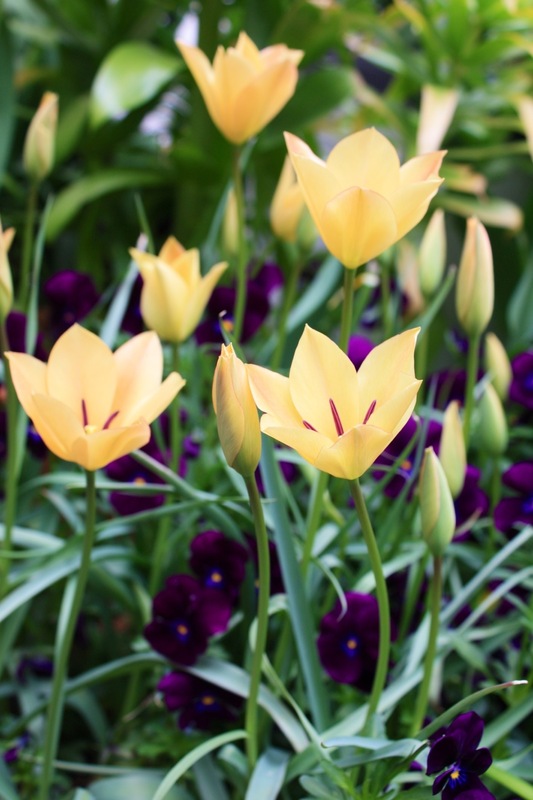 I was in two minds whether the partnership with purple violas would work, but the tulips’ inky stamens complement perfectly the velvety richness of their companions.